Despite significant progress, image saliency detection still remains a challenging task in complex scenes and environments. Integrating multiple different but complementary cues, like RGB and Thermal (RGB-T), may be an effective way for boosting saliency detection performance. The current research in this direction, however, is limited by the lack of a comprehensive benchmark. This work contributes such a RGB-T image dataset, which includes 821 spatially aligned RGB-T image pairs and their ground truth annotations for saliency detection purpose. 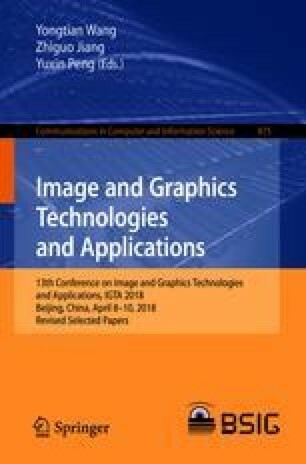 With this benchmark, we propose a novel approach, graph-based multi-task manifold ranking algorithm, for RGB-T saliency detection. Extensive experiments against the baseline methods on the benchmark dataset demonstrate the effectiveness of the proposed approach. The online version of this chapter ( https://doi.org/10.1007/978-981-13-1702-6_36) contains supplementary material, which is available to authorized users. This work was supported in part by the Natural Science Foundation of Anhui Higher Education Institution of China under Grants KJ2017A017, and in part by the National Natural Science Foundation of China under Grants No. 61602006 and No. 61671018, and in part by the Co-Innovation Center for Information Supply & Assurance Technology, Anhui University under Grant Y01002449.